The importance of the movies from Hollywood's classic period to developing American Culture cannot be understated. Literature and, to a lesser extent theater, were the cultural touchstones of Europe and Great Britain, preserving and spreading stories which defined entire peoples. The ascendance of American culture occurred as the technological, artistic, and financial means to create cinema were being developed, so it is natural that movies became our literature. Although there were certainly culturally important silent films, scholars define Hollywood's Golden Age as running from the beginning of the 'talkies' through the late Sixties. Great films have been made since that time, but the Sixties marked the rise of Television's commercial and cultural importance, displacing both movies and classic radio. Although movies became an important storytelling medium, the nature of the film industry was such that most people only had one chance to see a film. A few profitable pictures might go through a second release, but for the most part, if you didn't see a film when it to the local movie palace you missed it. After all, there were only so many screens, and Hollywood was churning out dozens of new movies each year. Unlike a book, there was no local library where you could rewatch a film like you reread a favorite book, and there were no Saturday afternoon reruns on TV for most of the Golden Age. One of the few ways to enjoy a movie after the end of its release was to listen to an adaptation on radio programs like Lux Radio Theatre. The Lever Bros. Company, makers of Lux Beauty Soap, had built its fortune by understanding the importance of brand recognition, marketing, and advertising. Their leading products were Lifebouy, Vim, and Lux, and there was an emphasis on making their flagship brand, Lux, into a luxury item. While their competitors were making inroads with the newly developing daytime serial dramas, Lever Bros chose to court a primetime audience for Lux. 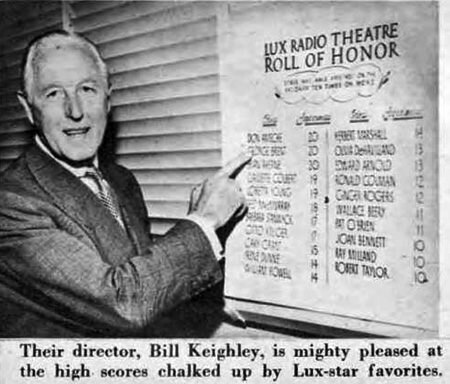 When Lux Radio Theatre first came to the air in 1934, the programs turned to Broadway productions for stories and guest stars. 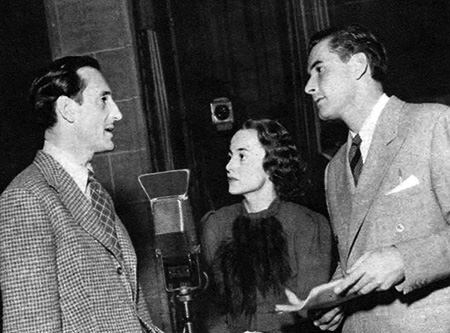 After the 1935-36 season, the show followed the rest of the radio industry in its exodus from New York to Hollywood and began using movies as source material. A step which cemented Lux's reputation in Hollywood was hiring the great Cecil B. DeMille as host of the program. DeMille was one of the greatest director/producers of all time, as well as one of the pioneers who brought the film industry to Los Angeles. The biggest reason for the popularity of Radio Theatre besides the film-based stories was the fact that the show tried to use the original Stars from the pictures whenever possible. Appearing on Lux was a very different and usually enjoyable experience for the Stars, especially compared to the rigors of working on a movie set. Lux had generally more rehearsals during the week than most other radio programs since its Stars were movie actors who were used to having multiple takes if a scene did not go well. The broadcast was live before a studio audience with a full orchestra providing transition music. 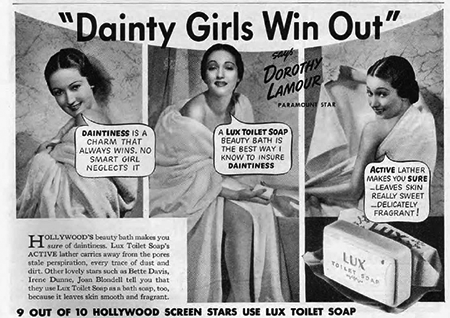 Host DeMille spoke in praise of Lux Soap between the acts and would help the Stars plug their latest film projects at the end of the show. 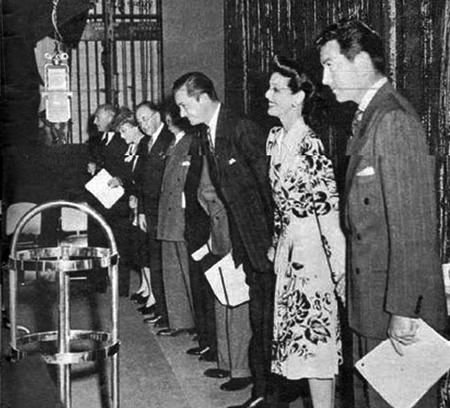 Some of the film actors developed considerable stage fright before the studio microphones, it was generally a relaxed and enjoyable experience for the movie Stars, made more so by the $5000 appearance fee they collected. Sorry, Wrong Number (1948, played on Lux January 9, 1950), featuring original film Stars Barbara Stanwyck and Burt Lancaster in an adaptation of a story originally broadcast on Suspense. Rebecca (1940, played on Lux February 3, 1941, and November 6, 1950), featuring Laurence Olivier for the 1950 broadcast, it was Alfred Hitchcock's first American film. Sunset Boulevard (1950, played on Lux September 17, 1951) an adaptation of Billy Wilder's film with original Stars Gloria Swanson and William Holden playing an aging movie queen and the reporter who is drawn into her fantasy world. To Have and Have Not (1944, played on Lux October 14, 1946) was the first pairing of Humphrey Bogart and Lauren Bacall. Their appearance together on Lux may have been part of the genesis of their ZIV Syndications program Bold Venture. The Thin Man (1934, played on Lux June 8, 1936, and June 17, 1940) featured film Stars William Powell and Myrna Loy in both Lux versions. The Prisoner Of Zenda (1937, played on Lux June 4, 1939) featured Douglas Fairbanks Jr. and Ronald Colman from the film, but for the Lux version, Colman's wife Benita Hume took up the leading lady's role. Key Largo (1948, played on Lux November 28, 1949) features Edward G Robinson as the 'heavy' and pretty Claire Trevor from the film, but stars Humphrey Bogart and Lauren Bacall did not appear in the Lux adaptation. Ceiling Zero (1936, played on Lux February 27, 1939), Starred James Cagney in the film and on Lux. Apparently, Cagney was not available for the previous day's rehearsal of this aviation drama (the recording is extant) but his sister Jeanne is credited with appearing. Monsieur Beaucaire (1924 and 1946, played on Lux June 21, 1937, and April 14, 1947) a rare silent film adapted for Lux starred Rudolph Valentino in the original. The remake was a comedy starring Bob Hope. Treasure Island (1950, played on Lux January 29, 1951) was not the first time the classic pirate tale was brought to the screen, but this version, starring Bobby Driscoll, was Disney's first live-action feature and the first Technicolor version of Treasure Island. Seven Keys To Baldpate (1935, played on Lux September 26, 1938), none of the players from the film appeared on Lux, and the story was readapted to feature Jack Benny attempting to write a movie script for DeMille overnight while locked in a haunted house! The episode is the first time that DeMille acts as part of the drama. Winchester '73 (1950, played on Lux November 12, 1951), James Stewart was less than enthusiastic about taking the role in what would turn out to be a popular and profitable Western but took it for a share of the profits so that he would get a chance to make Harvey (1950). Casablanca (1942, played on Lux January 24, 1944), this surprise hit is considered one of the greatest movies of all time. Alan Ladd takes Bogies part as "Rick Blaine", and does a very good job. The Treasure Of The Sierra Madre (1948, played on Lux April 18, 1949, and February 15, 1955) is another classic Bogart film, although Bogie did not appear in the second Lux adaptation. The Maltese Falcon (1941, played on Lux February 8, 1943) introduced the character of Sam Spade and established Bogey as a hard-boiled player, but none of the original film cast appeared on Lux. It Happened One Night (1934, played on Lux March 29, 1939) starring Clark Gableand Claudette Colbert in a Depression Era cross-country romp, is considered the first "screwball comedy". Goodbye, Mr. Chips (1939, played on Lux November 20, 1939) stars the great Laurence Olivier on Lux, although he was not in the film. The author of the novel which inspired the film, James Hilton, is interviewed. Miracle On 34th Street (1947, played on Lux at Christmas 1947, 1948, and 1954) became a Christmas hit even though it was originally released in June! Maureen O'Hara, John Payne, and Natalie Wood only appeared in the first Lux version, but Edmund Gwenn played Kris Kringle in all three. It's A Wonderful Life (1946, played on Lux March 10, 1947), Frank Capra's Christmas classic was yet to be a classic when it was performed on Lux, but Janes Stewart and Donna Reed's springtime performances are worthy of a Christmas-time listening. The Wizard Of Oz (1939, played on Lux December 25, 1950) was one of Hollywood's biggest hits ever, Lux presented it as a Christmas present to listeners in 1950, six years before it became an annual event on television. Captain Blood (1935, played on Lux February 25, 1937) starring Errol Flynn, Basil Rathbone, and Olivia de Havilland, the trio showed that they were very capable of swashing a buckle! They would reunite in '38 for The Adventures of Robin Hood. War Of The Worlds (1953, played on Lux February 8, 1955) is most notable for being a departure from Orson Welles1938 Mercury Theatre version of the . Both are only loosely based on H.G. Wells' original novel. Les Tremayne and Paul Frees from the film appear in the Lux version. Pinocchio (1940, played on Lux December 25, 1939) was a rare animated feature adapted for Lux, but was a major coup for the series because it not only featured most of the actors from the film, it broadcast two months before Disney released the film! Algiers (1938, played on Lux July 7, 1941) is the story of a notorious jewel thief hiding out in the Casbah starring Charles Boyer and Hedy Lamarr. It is Miss Lamarr's first time on radio. Lost Horizon (1937, played on Lux September 15, 1941) was a high-budget fantasy directed by Frank Capra. It took several years to make a profit and strained relations between the director and Columbia Pictures. 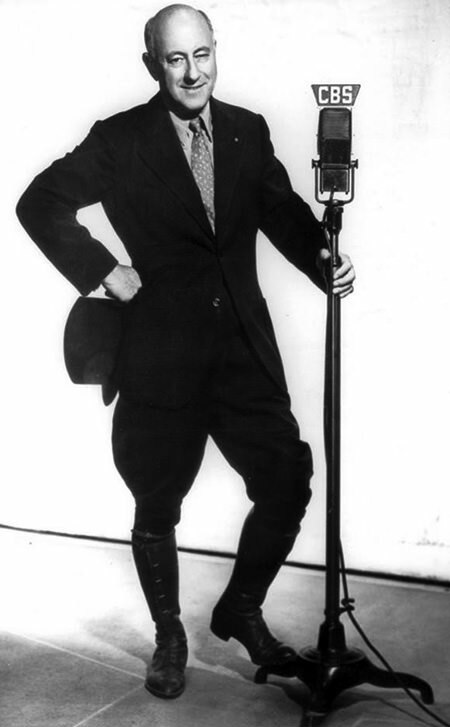 Ronald Colman starred on the screen and radio. I appreciate you and your family business, OTRCAT. I cannot express to you the pleasure you have given me by having the opportunity to buy the Lux Radio stories. You have brought me so much happiness just listening to them through my many long sleepless nights.